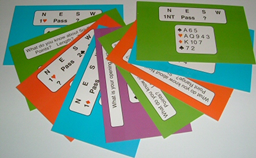 Here are some items of specific interest to bridge beginners and improvers. You can purchase items on this page online with a credit/debit card (UK and Ireland only). 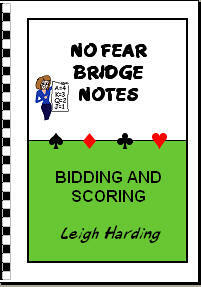 Card details are not collected by No Fear Bridge but are processed by Paypal to ensure secure payment. You do not need to have a Paypal account to pay by card. If you wish to pay by cheque or to order from overseas please send an email to for details. All prices include VAT and delivery to UK and Europe addresses. Please email for details of shipping costs for other overseas orders. Sorry this is now out of print. New version planned for 2020.